Would you prefer purchasing an Android device that doesn't have any apps or services from Google? No Google Maps, No Gmail, No YouTube! "Since the pre-installation of Google Search and Chrome together with our other apps helped us fund the development and free distribution of Android, we will introduce a new paid licensing agreement for smartphones and tablets shipped into the EEA. Android will remain free and open source," Google said in a blog post. 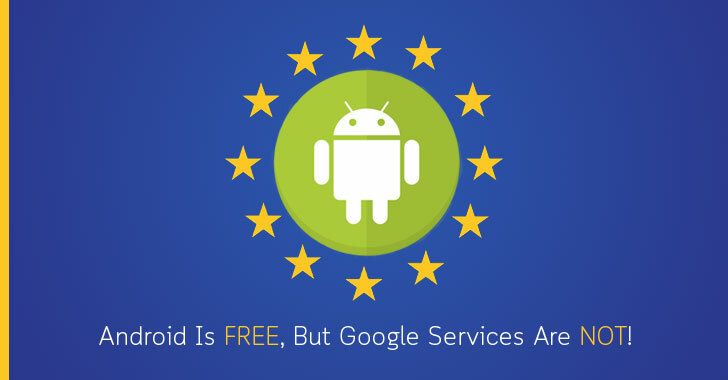 But the European Commission ruled that Google should stop forcing Android phone manufacturers to "illegally" tie its proprietary apps and services—specifically, Chrome and Google Search—to Android, as it unfairly blocked competitors from reaching consumers. Chances are the first license could be more expensive than the second, as Google's search engine and Chrome browser generate more revenue for the company. Not mandatory as earlier, but if Android phone makers want free licence, they can pre-install all Google apps without (leaving any selective apps), alongside competitors' apps.